STATE HOUSE — Senate Majority Leader Michael J. McCaffrey (D-Dist. 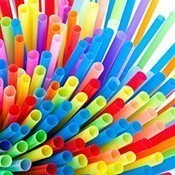 29, Warwick) has introduced legislation to curtail the use of plastic straws in restaurants. The bill (2019-S 0202) would prohibit a food service establishment from providing a consumer with a single-use plastic straw, unless the consumer requests such a straw. The bill, which is similar to a California law that went into effect on Jan. 1, calls for a notice of violation for first and second offenses. Subsequent offenses would be punishable by a fine of $25, not to exceed $300 annually. Americans disposed of more than 33 million tons of plastic in 2014, most of which was not recycled, according to the Environmental Protection Agency. A study that same year estimates that there are 270,000 metric tons of plastic in the world’s oceans. It’s estimated that more than 500 million single-use plastic straws are used and thrown away every day in the U.S. as Americans use them at an average rate of 1.6 straws per person per day, according to the National Park Service. That translates into 175 billion straws a year. The legislation, which is cosponsored by Senators V. Susan Sosnowski (D – Dist. 37, New Shoreham, South Kingstown), Joshua Miller (D – Dist. 28, Cranston, Providence), Dawn Euer (D – Dist. 13, Newport, Jamestown), and Louis P. DiPalma (D – Dist. 12, Little Compton, Middletown, Newport, Tiverton), has been referred to the Senate Committee on Environment and Agriculture.